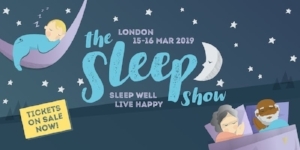 The Sleep Show is a brand new event offering a unique opportunity to learn more about the science and lifestyle practices to help you sleep well and live happy; welcoming everyone interested in expanding their knowledge and meeting the industry. With exclusive content from experts and the latest products, the event looks at how you can enjoy better sleep and health through live talks, clinics and advice, practice sessions and relaxation classes. With expert tips and guidance for all age groups from babies and beyond, as well as tips and techniques for both body and mind. The event 'all access' pass includes over 70 free seminars and workshops led by leading scientists, health professionals, therapists, authors and teachers offering solutions and support. The 'taster ticket' allows you to explore the event meeting expert exhibitors and trying the latest products and solutions available today.